California's warming climate is likely to mean a surge in lightning strikes, a development that would not bode well for fire season. A new study suggests that the number of lightning strikes nationwide could jump 50 percent during this century, driven by rising temperatures. "Warm air can hold more water vapor than cool air," explains David Romps, an atmospheric scientist whose team at UC Berkeley came up with the new projections, published this week in the journal Science. "And as we warm the planet, we tend to get more water vapor in the atmosphere, and water vapor is the fuel for thunderstorms." Romps says every rise of about 2.5 degrees Fahrenheit should produce an 11 percent increase in ground strikes. His team came up with the projections using two key ingredients for lightning: precipitation and convection, the rising air that causes storm clouds to quickly pile up to enormous heights. Assuming average temperatures rise by 7 degrees during this century, he says warmer air will increase both, setting the stage for more electrical storms. "Our hypothesis was that that product of precipitation and storm energy would be a good predictor for lightning, and it turns out to work very well," says Romps. The initial projection applies to the continental U.S. as a whole. Romps says his team will attempt to fine-tune its models to be able to make regional projections. "As we don’t yet know the distribution of this increase, it could be that regions of the country that get a lot of lightning strikes today will get even more in the future," Romps says, "or it could be that regions that get very few today will get much more than they’re used to." Or both, presumably. The answer will be important fodder for those who plan and budget for California's fire season. While most wildfires are caused by human activity, lightning is the spark for many big fires in Northern California. 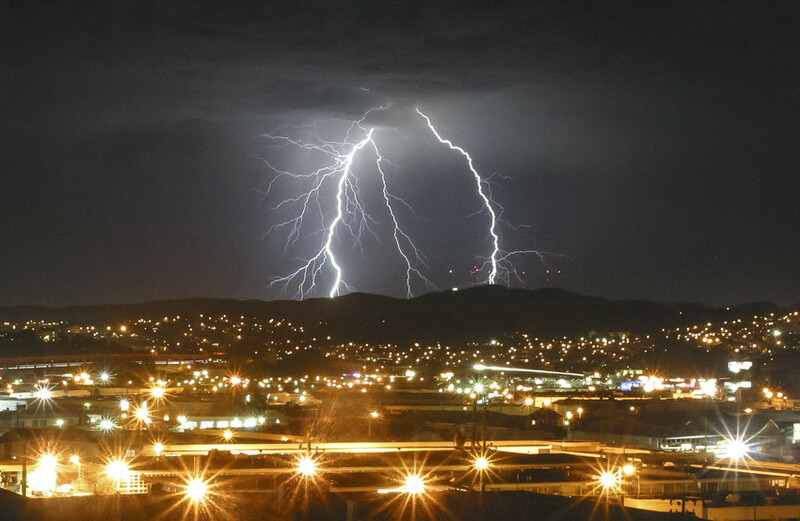 "It’s reasonable to speculate that with a 50 percent increase in lightning strikes, we would get an increase in wildfire frequency," says Romps. "But we haven’t yet done the work to figure out where geographically this increase occurs and when in the season it occurs, and that would be important to know, to really nail down what the increase in wildfire frequency would be." So far this year, lightning has been listed as the cause in 446 wildfires in Northern California that came under the primary jurisdiction of the U.S. Forest Service (which tends to handle the more remote fires). Those fires burned more than 276,000 acres combined. According to CalFire, a "lightning siege" comprising thousands of strikes in July and August were responsible for the season's largest fire, the 130,000-acre Happy Camp Complex in the Klamath National Forest.